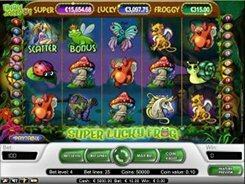 Golden Shamrock is an Ireland-themed video slot with 5 reels and 20 paylines. 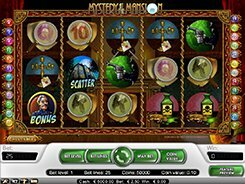 The slot features symbols that are mainly associated with that country and Irish culture, including bags of various colors, a national musical instrument called the concertina, beer pints, a harp, a golden horseshoe and other theme related symbols. 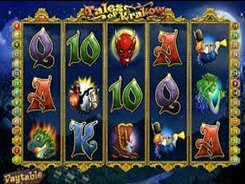 A coin value comes in a range from $0.01 to $0.5, and a bet per spin can reach $100 which is a great option for high rollers. A wild symbol is represented by Leprechaun. A wild helps form winning combos by substituting regular icons. 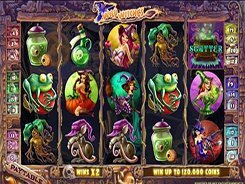 What’s more, landing on reels 2, 3 or 4 a wild symbol will expand to cover all three reel positions, thus giving you more chances of winning big. 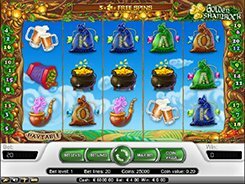 Golden Shamrock acts as a scatter, with three or more unlocking the free spins round with a random number of spins. 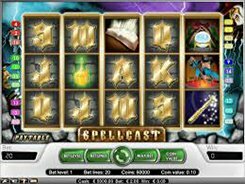 Two or more scatters that appear during the feature award an extra free spin or a multiplier varying from x1 to x5. 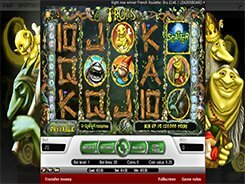 The top three prizes you can win in the slot are $20,000, $10,000 and $7500 accordingly.